Lee H. Kocourek, 89, of Tollville passed away Monday, January 26, 2015 at Baptist Health in Little Rock. Lee was born October 31, 1925 to Ed and Mabel Kocourek of Hazen. 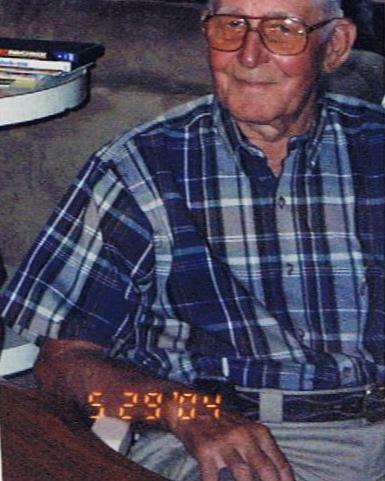 He was a lifetime farmer, loved hunting and fishing, gardening and yard work. He was a duck hunting guide at one time. He was a Korean War Veteran with the 13th Engineers and a member of St. Peter’s Episcopal Church in Tollville. Lee was preceded in death by his parents and two brothers, Edward Kocourek and wife, Pet and John R. Kocourek and wife, Sissy. Survivors include his loving wife, Dott of 58 years; one son, Jack Kershner and wife, Linda of Houston, Texas; three daughters, Tami Adams and husband, Joe of Benton, Arkansas, Judy Ewing of Houston, Texas, and Vickie Thomas of Pennsylvania; 10 grandchildren; 12 great-grandchildren and 4 great-great grandchildren. Visitation will be held at Westbrook Funeral Home on January 30, 2015 from 6:00 to 8:00 P.M.. Funeral services will be at10:00 A.M., Saturday, January 31 at St. Peter’s Episcopal Church in Tollville. Burial will be in the Hazen Cemetery. Dott, A note of condolence from a long lost cousin. So sorry to hear of your loss. Take care.